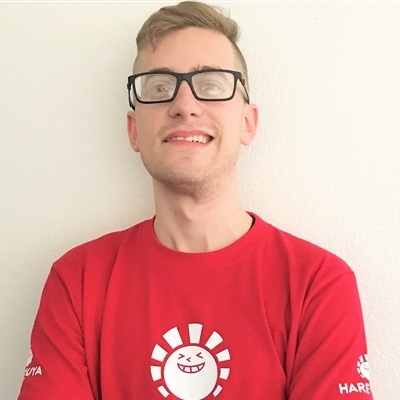 Let’s Climb to Mythic with Status Gruul! 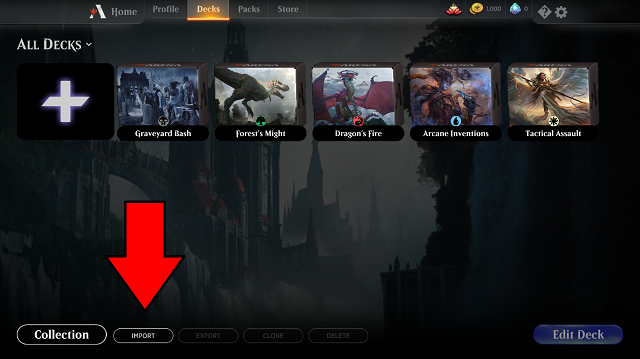 With the lack of premier events featuring best of three Standard, we are all left wondering where the metagame stands and what we should be playing in order to achieve Mythic on MTG Arena. Luckily, I have the decklist for you here today to accomplish this in the form of Status Gruul. The appeal to Gruul is that’s a proactive deck featuring what I believe to be the best three and four drop creatures in Standard (《Gruul Spellbreaker》 and 《Rekindling Phoenix》). Combine this with premium removal and it is hard for your collection of cards to not be Tier1. 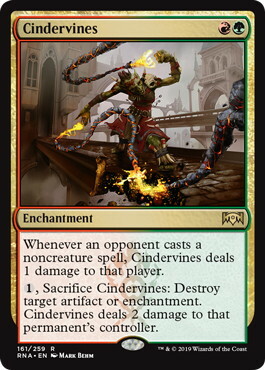 The amount of playable Standard cards in Red and Green are plentiful – which means lots of viable interactions in terms of ways to build your deck. 1. Copy the whole text. 2. 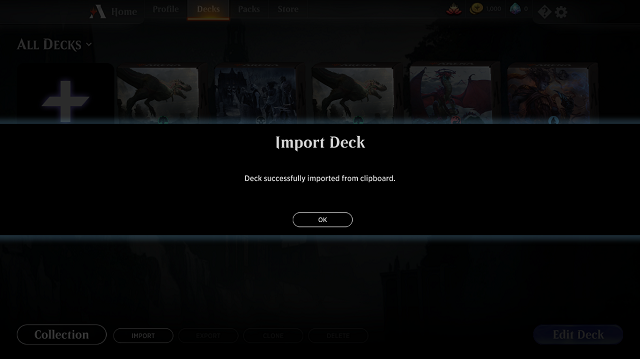 Open the Deck menu on MTG Arena and click “Import”. 3. 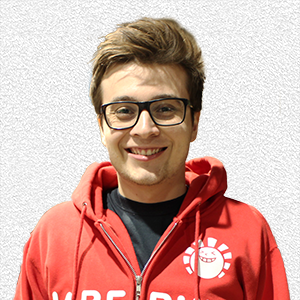 If you succeeded, your deck will be there as an “Imported Deck”. What Two Drop Should I Play? 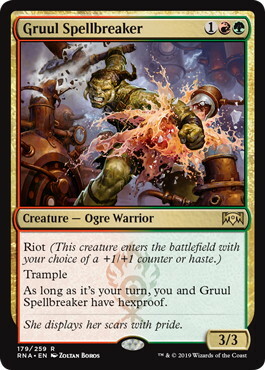 The biggest question in building your Gruul decks is what two drops to play. 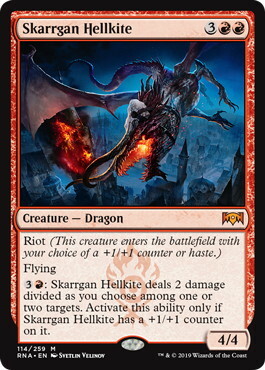 The threes, fours, five, and removal really aren’t up for much debate outside of 《Siege-Gang Commander》s over 《Skarrgan Hellkite》s if you are looking to improve the WW and Red Matchups. 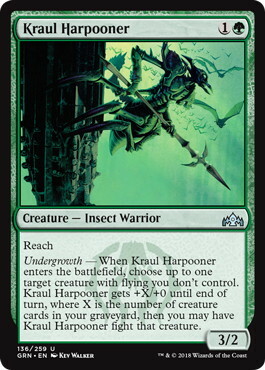 The twos feature 《Dire Fleet Daredevil》, 《Growth-Chamber Guardian》, 《Kraul Harpooner》 and 《Thorn Lieutenant》. 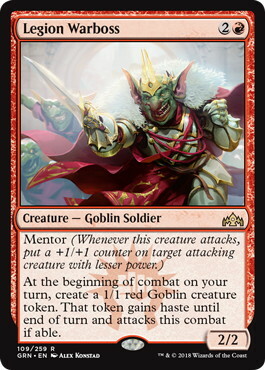 You are really looking for a red two drop or a warrior since the base of the deck is mono red. 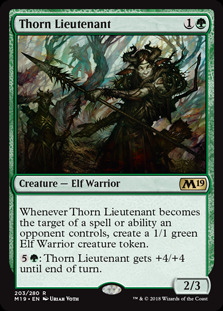 Note that something like 《Merfolk Branchwalker》 won’t work with this mana base, however it would in a version eschewing 《Goblin Chainwhirler》 in favor of 《Legion Warboss》. 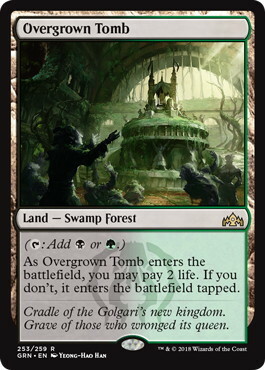 The only two drop I am certain you should be playing is the full set of Growth Chambers as well as at least x2 Daredevil, potentially even more. 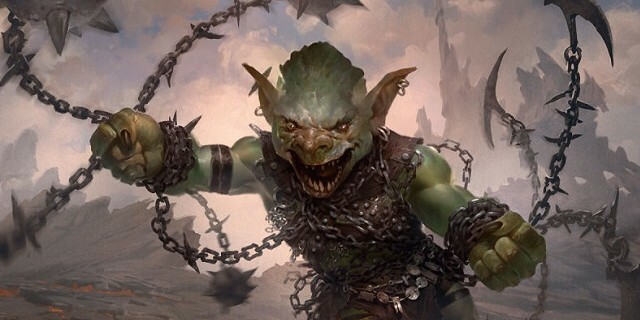 《Goblin Chainwhirler》 + 《Status/Statue》 provide a very unique effect in Standard, that will catch a lot of opponents off guard. Simply play Chainwhirler and with the ability on the stack cast 《Status》 and all their creatures will die. As you can see I have included a couple of black sources in order to cast the other half of 《Status/Statue》. 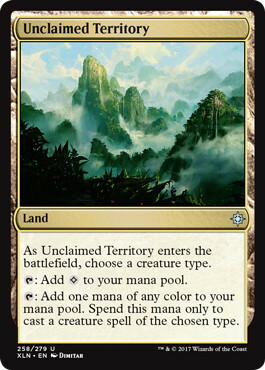 It is particularly valuable against cards like 《Experimental Frenzy》, 《Wilderness Reclamation》, 《Conclave Tribunal》, and 《Search for Azcanta》. 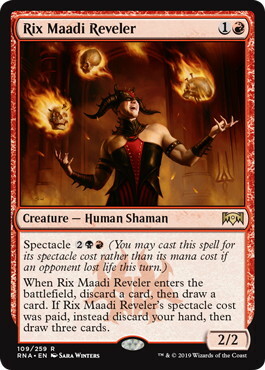 If you are going to play black, I think a playing a couple 《Rix Maadi Reveler》 is OK as well. The deck is very powerful and mana hungry. 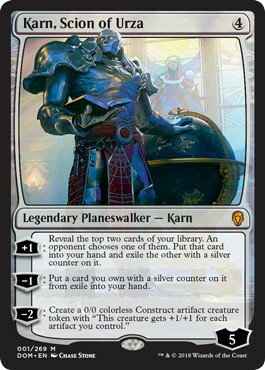 Rix Maadi does a good job of smoothing things out, but it is very clearly the weakest card in the deck as it is only a 2/2. If I should cut something to make a room it would be Rix Maadi. Sometimes it can be difficult to know what to discard to it, so you must practice the deck a lot. 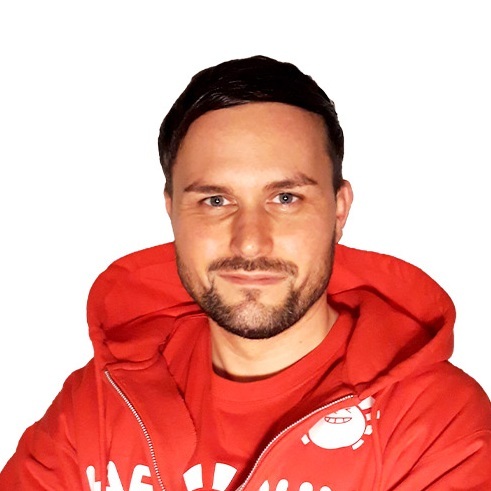 Oftentimes the right play is to just hold it as you do not want to discard anything – which is one of the primary draw backs of it. It is possible 2 more Daredevil is just better than the 2 Rix Maadis, but only time will tell. These two slots will be metagame dependent and I advise you to adjust accordingly. Remember that 《Status》 plays well with Daredevil/Chainwhirler’s First Strike because of Deathtouch and also combo with 《Skarrgan Hellkite》‘s activated ability. 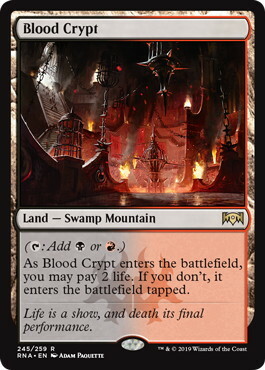 Although the deck plays 25 lands, it is often possible on the draw to go down to 24 lands if you believe the matchup will be about grindy / about card advantage, so be on the lookout for that. If you are curious about what mode to use on 《Gruul Spellbreaker》, usually against aggro I will make a 4/4 and against control a 3/3 Haste. That being said, it will always be context dependent. If you believe they have removal it is better to make it a 3/3 Haste since you will get three damage out of it before they kill it. Map your turns out with 《Growth-Chamber Guardian》. If you have stuff to do the next couple of turns with your mana it may be right to play something else instead of the Guardian. Playing a Guardian does often force your opponent to use removal, so you can use that to your advantage if you want to control their turn in a sense. Remember that sometimes it is correct to use Guardians ability to your upkeep in order to decrease the chances you draw one naturally. If you think your opponent has removal in response to your Guardian look to wait to do it. If it is the end of your opponent turn for example, sometimes just untapping and being able to activate it twice in response to a single removal spell is the superior play than walking into their removal at their end step. I like to kill opposing 《Growth-Chamber Guardian》 immediately when I can. Trying to get “value” can often lead to very poor spots vs. opponents that play optimally. Do not bank on opponents activating at poor times, simply remove their decision making in the process by killing it instead of trying to be “fancy”. 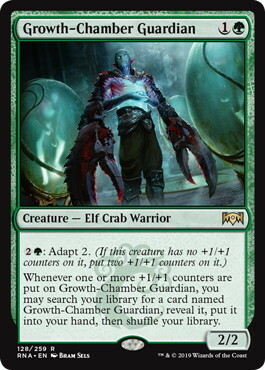 《Growth-Chamber Guardian》 shines in matchups that are grindy and that will go long. 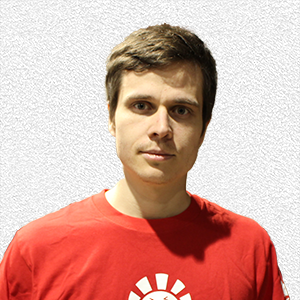 It is less good against aggressive decks as it requires a decent amount of time. Remember that 《Unclaimed Territory》 can name Human if you are lacking black for the spectacle portion of Rix Maadi. You will almost always name Warrior with it though. 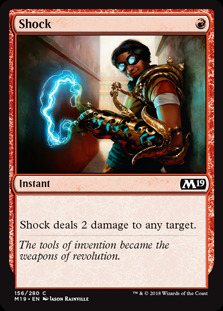 《Shock》s are better on the draw than on the play. The same goes for all the removal in your deck. I tend to make my deck more removal heavy on the draw as opposed to the play as it is more likely I will be taking a defensive role in the matchup. This matchup is close. Use your removal aggressively and fight to kill the creatures they play as they represent repeated sources of damage. If they are opting to play 《Risk Factor》 over 《Experimental Frenzy》 you can take out the 《Status/Statue》s. Daredevil is very nice to use on 《Light Up the Stage》. 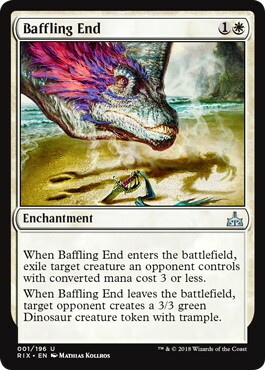 Sometimes you must run it out as a speed bump for your opponent’s creatures though. Try to decipher whether is likely they have a Chainwhirler in their hand or not as act accordingly. Your best card in the matchup is a 4/4 《Gruul Spellbreaker》 as the red deck is made up of cards that deal 3 damage and not 4. 《Rekindling Phoenix》 is good too, and a lot of times you will block a Chainwhirler with it, even though it looks like a poor block on paper. They are making the attack 100% of the time since they have First Strike and you want to make them using something on the 0/1 Elemental instead of just taking three. This is very context dependent though, there is no hard and fast rule. This matchup is close and you need to play extremely well. You should look to kill their early creatures to try and keep them off sneaking in an early 《Venerated Loxodon》. 《Rekindling Phoenix》 is your best card here and their best answer is 《Conclave Tribunal》. This is where 《Vivien Reid》 comes in to destroy it. 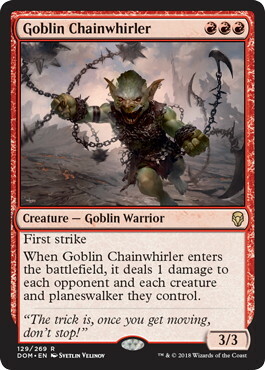 《Goblin Chainwhirler》 is your second best card since a lot of times they will grow their creatures out of range or have Afterlife. If this happens, to hold it and hope to draw a 《Status/Statue》 is likely the best. Chainwhirler + Direfleet does provide a lot of First Strike damage though and can kill 《Benalish Marshal》 before regular damage. 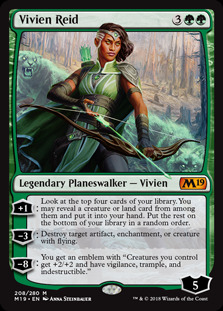 Warning: If you have a 《Gruul Spellbreaker》 in play and attempt to kill a 《Baffling End》 with 《Vivien Reid》 or 《Status/Statue》 you will not get the 3/3 as 《Baffling End》 requires the opponent be able to target you which 《Gruul Spellbreaker》 prevents. This is a great matchup. Your best cards are 《Rekindling Phoenix》 and 《Lava Coil》 (for 《Tempest Djinn》). Some games you can get aggressive vs. them. Mono blue does not play well on the backfoot. Another close matchup. Don’t expose your Growth-Chambers to removal as they are extremely good in the matchup and you can be patient with them. 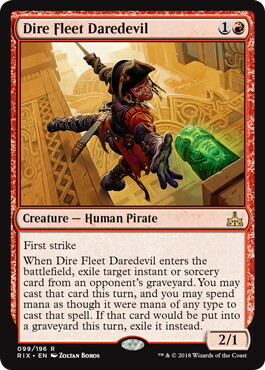 Same goes with 《Dire Fleet Daredevil》 – be patient with him. Note: you must keep in 4 《Lightning Strike》s in order to deal with 《Hostage Taker》 post-board. Bad matchup game one and slightly favorable games two and three. You keep in burn spells in case they are able to stabilize with 《Root Snare》s vs. creatures. Try to stay low to the ground and burn them when they get close to stabilizing. The mirror is all about going bigger. I’ve found Growth-Chamber to be slightly underwhelming, the game is primarily won in the air. 《Shock》 can be reasonable to keep in on the draw if the opponent shows they are keeping in their Guardians. Daredevil’s First Strike is nice and combo with Status to take down a big creature such as a 《Ghalta, Primal Hunger》. Play a defensive role and sit behind 《Rekindling Phoenix》 and First Strikers until you are able to win in the air. Be cognizant of 《Ghalta, Primal Hunger》 though. 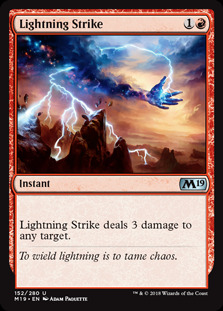 It can often be right to burn creatures that otherwise aren’t a problem in order to strand the 《Ghalta, Primal Hunger》 in their hand since 12/12 trample can drastically change a board state. Do not get too content just because the board looks good at the moment. A good matchup. 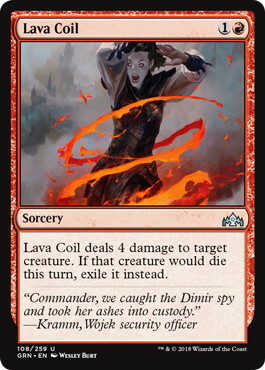 《Lava Coil》 is valuable at taking out Phoenixes and Drakes. 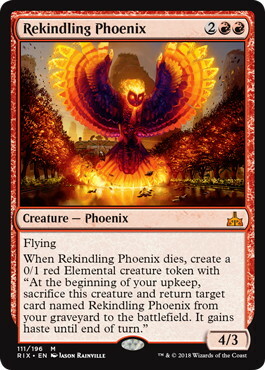 《Rekindling Phoenix》 is also quite strong. I like to keep 《Shock》 in to deal with 《Goblin Electromancer》. It is key to their strategy so should usually be killed immediately if possible. Good luck with Status Gruul going forward and hope this article helped you. I hope you draw Status + Chainwhirler very often my friends 😊 I will see you in the Arena ques and thanks for reading.